In 1794, William Pitt, Secretary of State for War, appealed to the nation to arm itself and prepare to resist invasion. Volunteers were required because the Militia, the reserve forces, had been called up and deployed against the armies of France. In 1798, the Government accepted an offer from Sir John Sebright to raise a troop of volunteer cavalry based at Beechwood Park. A further troop of cavalry was raised at Ashridge, under the command of John William, Earl of Bridgewater. Joseph Halsey of Great Gaddesden was appointed Lieutenant and Patrick Bartlett, a gentleman farmer of Little Gaddesden, was Cornet. William Buckingham was Corporal of the Horse and other members were John Lamport, a farmer, and Theophilus Hemmings, a house steward at Ashridge. The volunteer company was disbanded in 1809. By 1859, the threat of invasion from France by the forces of Napoleon III was so great that the Prime Minister, Lord Palmerston, ordered a new volunteer defence organisation to be formed. The Ashridge Volunteer Rifle Corps was raised on 1 March 1860. 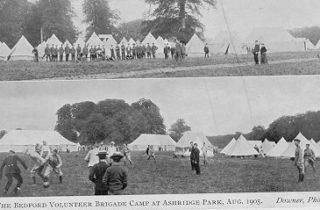 By 1897, 12 volunteer corps with two administrative battalions (including one at Ashridge) had been set up in Hertfordshire. The 2nd Earl of Brownlow became Corps Captain with James Paxton, the Agent for Ashridge, as second-in-command. 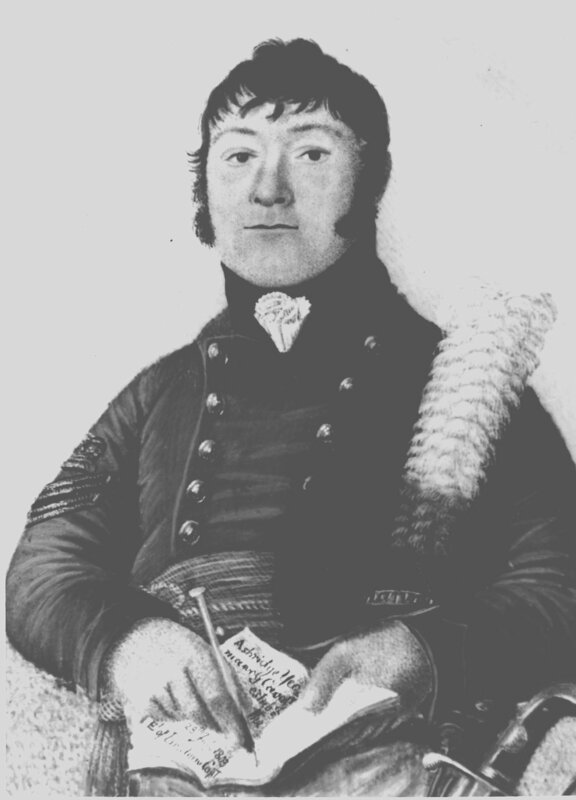 Choir and School-master, John Worrall, became Bandmaster and a Fife and Drum Band was created to support the Corps. An armoury was set up at the Manor House and Sergeant Major John Ballam was installed there as instructor. Lord Brownlow was keen on rifle shooting and, with his encouragement, the Corps won a number of shooting prizes. Two volunteers from Ashridge Corps served during the Boer War, one of whom was killed in 1902. By 1905, the original Ashridge Company had been renamed the 4th Hertfordshire Rifle Volunteers. The contingent was “C” Company in the 2nd Battalion of the Bedfordshire Regiment. 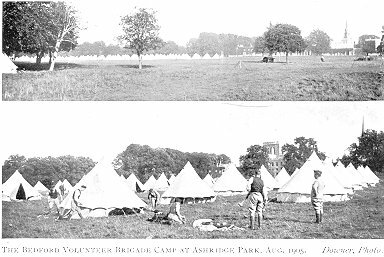 The Ashridge Rifle Volunteers were absorbed into the newly formed Territorial Army in 1908. However, only William and Herbert Fenn transferred into the T.A. (1st Hertfordshire). During the First World War, the Battalion set up camp at Ashridge, before moving on to East Anglia and then Flanders. They became involved in the battle at Ypres and William Fenn died in 1916. This page was added on 27/06/2011.